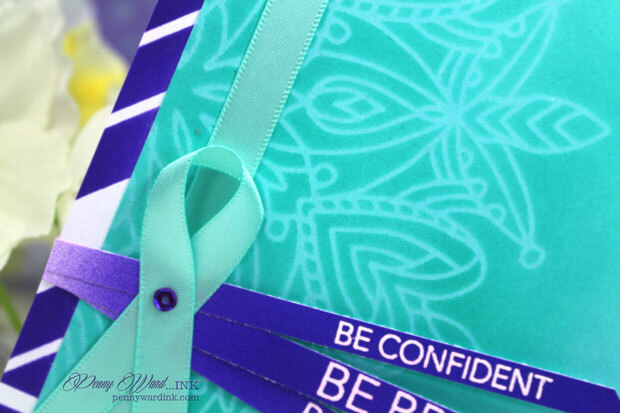 Are you loving the color combo of Aqua and Purple? Saw it on Pinterest and had to try it out. They were kind enough to send me an advance of the new Heart Mandala stencil. 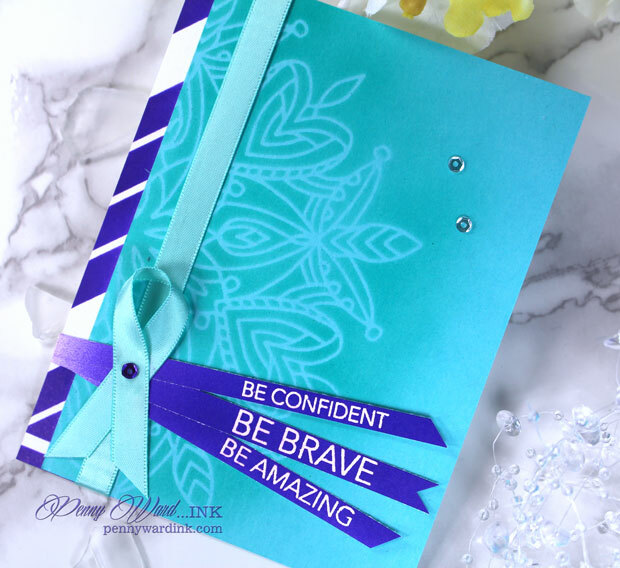 Using Audrey Blue cardstock, I then stenciled the Heart Mandala with a Spectrum Noir BT5 marker and my eBrush. I am calling it done.